Postpartum care includes regular checks with mom and baby. I see both mother and baby about 24 hours and 36 hours after delivery. At these visits, we will make sure the baby is nursing properly, and there are no health concerns related to the delivery. I will then see you both at 1, 2, 4,and 6 weeks post-delivery for well-mother and well-baby checkups. I measure and weigh baby, listen to the baby’s heart and lungs. I will talk to the new mother about breastfeeding, answer any questions that may have arisen, help with any issues, and discuss nutrition during lactation. We will discuss sleep schedules and what is to be expected and normal in relation to sleeping patterns. I will make sure mom is healthy by doing blood pressure and pulse and make sure her bleeding is diminishing appropriately. 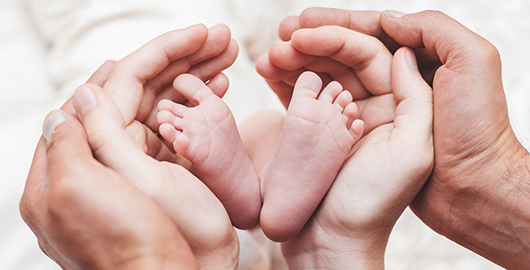 The heel poke (or newborn screening) is a test recommended by the State of Colorado that screens for a number of diseases (Colorado Newborn Blood Spot Screening). Many of these are genetic disorders that can have devastating effects on your child if left untreated, but are easily treated if detected early. These include phenylketonuria (PKU), Arginase Deficiency, Sickle Cell Anemia, Cystic fibrosis, and many others. I highly recommend all newborns receive this screening, and I administer the test according to Colorado standards. In two separate postpartum visits I provide the test for your baby. It is a simple heel poke for baby that could prevent health problems later on.